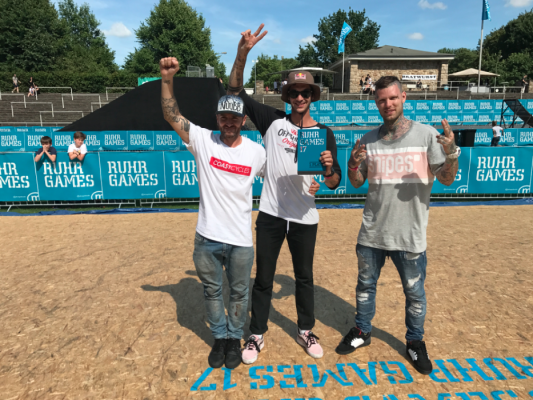 Congratulations to Matthias Dandois who took the win today here at the Ruhr Games, in Dortmund, Germany. Matthias was followed closely by both Dominik Nekolny and Alex Jumelin. Congrats to Dom and Alex who both killed it! I have all the runs so will be posting up throughout next week.